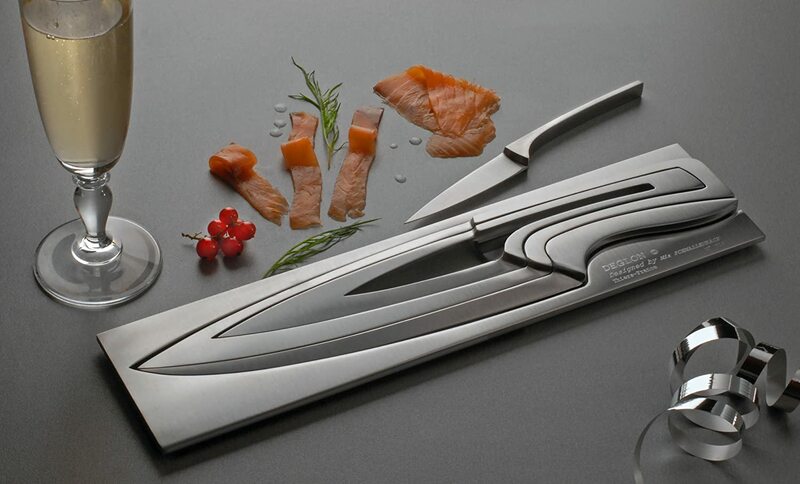 The Deglon Meeting Knife Set is practical, durable and a work of art. This lovely set is made of high quality stainless steel and seemingly appears to be created from a single block of stainless steel. Each knife nests within the set. 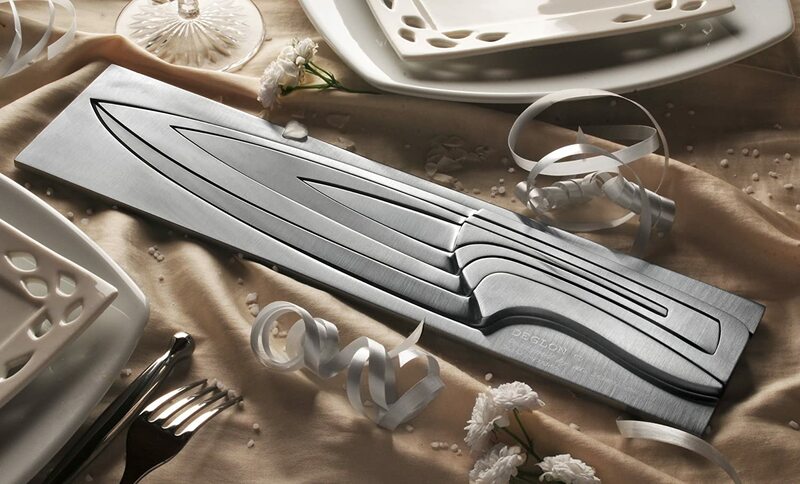 To remove each knife, simply press down near the tip of the blade and lift knife away by the handle. 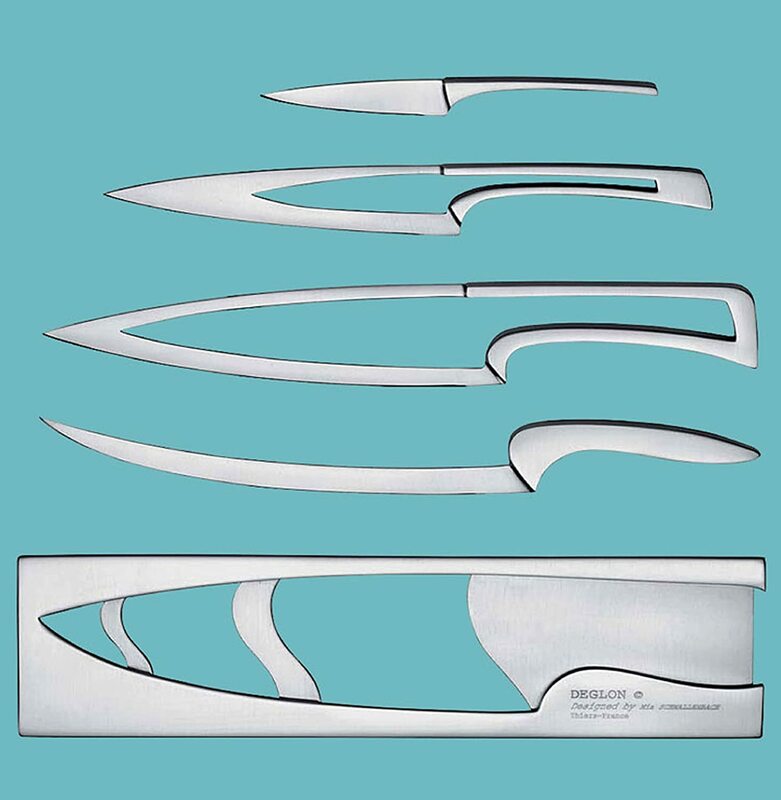 Set includes a 3-1/4-inch paring knife, 5-1/4-inch utility knife, 8-inch chef knife, 8-3/4-inch slicer and matching stainless steel block.